Against a background of public library closures, budget and staff reductions it is easy to overlook the ways in which libraries are reinventing themselves. 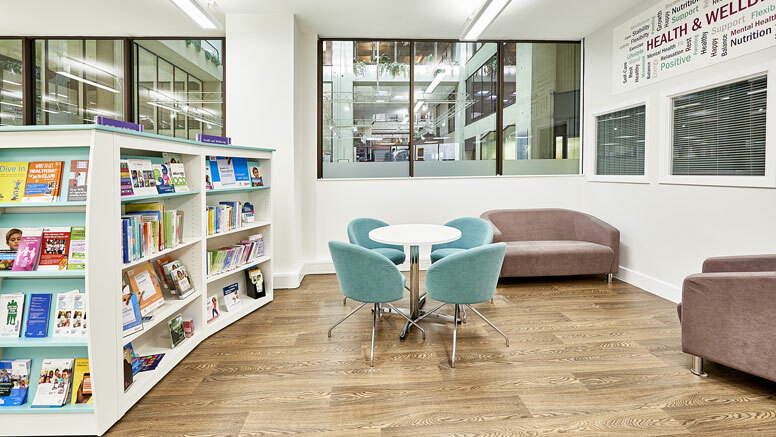 Despite a challenging economic situation, innovative, exciting, boundary extending libraries are still being built and remodelled, both in the UK and across the world. Alan J Clark mines the rich resources of Designing Libraries and its reporting to examine emerging trends in library and library service design. Gemma John’s study of public libraries in Europe and North America, Designing Libraries in the 21st Century: Lessons for the UK outlines the perceived main functions of public libraries today, how people engage with them now and how they may in the future. It then goes on to look at design characteristics of contemporary public libraries and also how staff are re-imagining library spaces to create a better experience for the user. Design: including appearance, flexibility, innovation, visual impact and integration into the local environment. Strategic relevance: approach to achieving objectives; response to special considerations/challenges; sustainability; value for money. Impact: user experience; functionality; delivery of services; meeting community needs; accessibility. A number of trends within current library design, and examples of library buildings which manifest them, can be discerned by analysing features published by Designing Libraries over the past 18 months. Despite worldwide economic difficulties, large, spectacular and aspirational libraries continue to be built. It is a valid question to ask what the overall effect of these mega libraries is on other libraries and library services in their regions. Calgary, Canada has an aspiration to build the best public library system in the world with its new Central Library due to open in November 2018. “Every library in the Calgary Public Library system will be of the same calibre as New Central Library.” Quite an ambition! Perth City Library, W. Australia, was the winner of the ALIA awards in 2017, described as “A capital city library”. At about the same time a review of libraries in Western Australia warned that there were too many, outdated and inappropriately placed libraries in Western Australia. At a national level, the recently opened Qatar National Library provides a rich range of services for all residents. Visitors can make use of individual and group study spaces, computer labs, a writing centre and Innovation Stations offering a wide variety of creative tools, such as 3D printers and musical instruments. The National Library of Latvia, similarly, is a library for everyone. Users can access more than 350,000 items on open shelves, use facilities for individual and group work, with workstations for editing audio, video and 3D files, digital pianos for playing musical scores and special reading rooms for the visually impaired. De Krook Library, Ghent, will be Ghent University’s research showcase. “The idea is to show visitors how the future is shaping up. De Krook can then act as an interactive laboratory. Everyone is free to participate.” Other examples include Colindale Library in Barnet, co-located with Barnet and Southgate Colleges, The Forum, Southend, a joint venture between Southend-on-Sea Borough Council, the University of Essex and South Essex College, and Wick Library, Highland, a public library integrated with the Wick 3-18 campus. Many library authorities have sought to adopt hub models of provision, attracted by the idea of cutting costs, increasing footfall and providing more services in one place to give residents multiple reasons to visit and attract different groups of users. Designing Libraries maintains a record of new and refurbished libraries opened or announced which identifies those libraries co-located with other community services. Among the libraries that illustrate this growing trend we might highlight the new vision for libraries in the Highlands, Chelmsford’s new families hub where the library is at the heart of family support services, and the Edmonton Centre which brings together a completely refurbished library set over two floors and the council’s Customer Access facilities. Crewe’s new Lifestyle Centre combines leisure facilities, modern family and social care provision, a library and community facilities all in one place. Wigan Life Centre is a multi-million pound leisure and public service complex bringing together council, health, leisure, housing, swimming pool and a new central library. Chester’s Storyhouse is a good example of a civic cultural hub combining library, theatre and cinema. The Hub Kerkrade in the Netherlands is a similar concept. Thionville library and media centre in northeastern France has the ambition to become the new model for media libraries as a 'third place' for the public: a ‘collective living room’. The extraordinary Stovner library in Oslo is helping to define the shape of things to come, as, I think, is The Word in South Shields, whose project brief was to ask “What should a library for the 21st century look like, and what should it offer to the public?” The various answers to that question will shape (and change) libraries over the next decade.